SOLD OUT—Opening night reception: Saturday, Feb 16 at 6pm. Please note that tickets to the opening night reception are limited and include dinner, a no-host bar, and admission to the film screening. 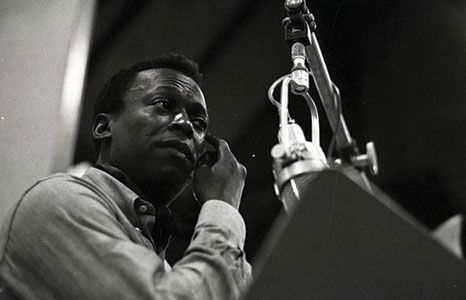 Using words from Miles Davis’s autobiography, Miles Davis: Birth of the Cool offers insight into our understanding of the legendary musician. Newly released archival material, alongside interviews with preeminent historians and personal friends like Quincy Jones, illustrate a man of intensity and devotion to his craft. Despite the indignities of America during the time of segregation, nothing was going to stop Davis from realizing his dream: to create a new form of musical expression. Director Stanley Nelson’s epic biopic collects the strands of a creative life and weaves them together for us to understand one of the great modern American artists like never before.